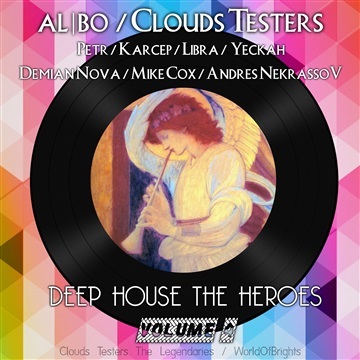 Clouds Testers The Legendaries / WorldOfBrights labels presented the new, IV-th national deep-house hits compilation from "Deep House The Heroes" Series. "Deep House The Heroes Vol. IV" includes trendy and well-reviewed dance-works and karaoke by al | bo, Clouds Testers, Libra, Demian Nova, Mike Cox, Petr, Karcep, Sazon Law, Andres NekrassoV and Yeckah. It is the 8-th copilation of big "The Heroes" series, highlighting deep-house and nu-disco ("Nu-Disco The Heroes") CIS-regional music.